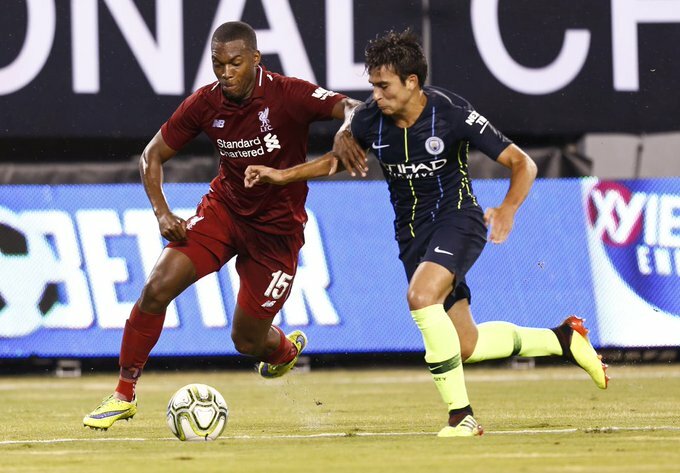 Mohamed Salah and Sadio Mane marked their first outings in pre-season with a goal as Liverpool come from behind to beat Manchester City by a 2-1 scoreline in the International Champions Cup. Leroy Sane had given City the lead in Wednesday’s clash in New Jersey, but a header from Salah and a last-gasp penalty from Mane – both who were introduced after the break – earned Liverpool a deserved victory in the United States. In other International Champions Cup matches, a first half brace from youthful Andrea Favilli gave Juventus a 2-0 win against Bayern Munich. Despite going ahead through Patrik Schick,Roma lost 4-1 against Tottenham thanks to braces from former Juventus striker Fernando Llorente and Lucas Moura.